UN 'Palestinian refugee' organization continues to face $350 million budget shortfall. The United Nations Relief and Works Agency (UNRWA) received pledges of $100 million in additional funding, partially making up for shortfalls after the US cut funding to the organization. The countries of Qatar, Canada, Switzerland, Turkey, New Zealand, Norway, Korea, Mexico, Slovakia, India and France agreed to provide the funding at an emergency funding conference in Rome. UN Secretary-General Antonio Guterres called the pledges "an important first step," but "a long way is in front of us." "If UNRWA would not exist, if these services were not provided, the security of region would be severely undermined," Guterres told reporters. "Now it is very clear, it is absolutely essential, that the extraordinary unanimity in political support to UNRWA and its activities translates itself into cash." UNRWA continues to face a budget shortfall of $350 million for 2018 even after the latest funding pledges. The administration of US President Donald Trump has so far committed only $60 million to the agency this year, down from $360 million in 2017. He has frozen two planned payments worth more than $100 million -- one for UNRWA's central budget and one for food aid. Nearly 30 percent of its funding coming from the United States. UNRWA has been criticized for its perpetuation of the Arab refugee problem. In contrast to the United Nations High Commissioner for Refugees (UNHCR), UNRWA does not seek to resettle refugees and confers refugee status on the descendants of refugees regardless of whether they have obtained full citizenship in another country. As a result of UNRWA's policies the number of 'refugees' under its care has ballooned from less than 800,000 in 1949 to over 5 million today. 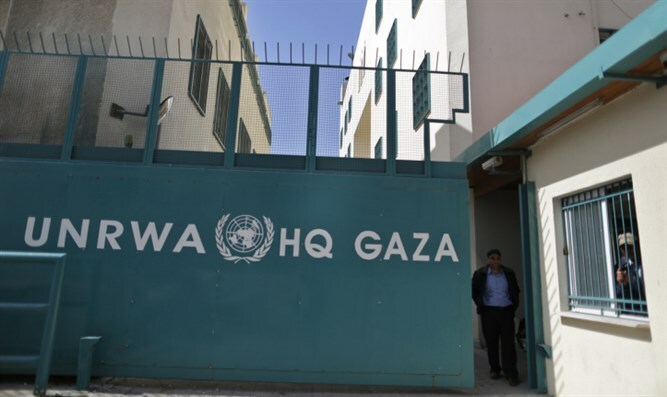 The organization has also faced criticism for its employment of members of the Hamas terrorist organization and for the incitement and anti-Semitism which is taught in UNRWA-run schools. UNRWA was documented storing Hamas rockets and weapons "designed to kill Israeli citizens" in its schools, a fact which the UNRWA chief himself admitted.